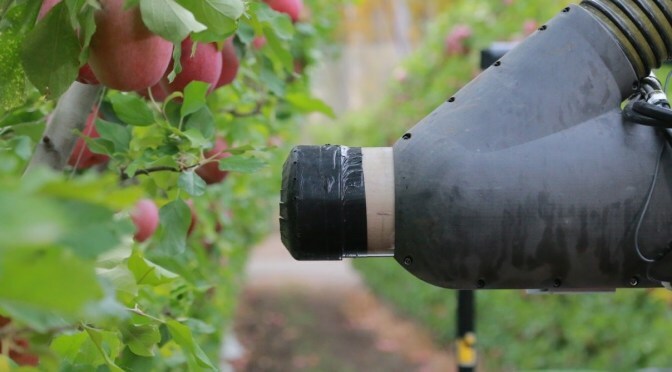 An Apple picking robot which can work 24 hours, working non-stop, works on the same technology on which the most modern self-driving vehicles currently work on, LIDAR. The robot does not even damage the trees or fruits and not only pinpoints the fruit, but also it’s ripeness with computer vision algorithm. To facilitate the use of these robots, even the farms and it’s Apple trees are being ‘converted’, shortened and flattened trees are the new order of the day.